At our practice, we like to refer to emergency or urgent dental care appointments as “Comfort Visits”. Why do we do this? Because we want to constantly remind ourselves to focus on restoring our patients’ comfort. Pain takes precedence over anything else. We know how horrible and annoying it is to have urgent dental needs that go unattended to. It is even worse to have to wait to be seen. But fear not! 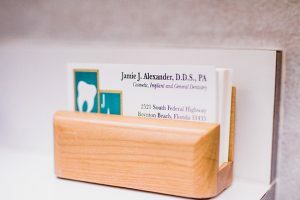 We pride ourselves on being available 24/7 to our existing dental patients, as well as those who have yet to establish themselves in our office. We intentionally schedule time into our daily schedule to address these potential needs. Someone always needs us — and we are always there for their needs. When a patient sees us for urgent dental care, we always focus our attention and testing on the problem at hand. 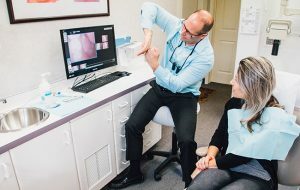 Proper diagnostic testing which may include examination, digital dental x-rays, and/intra oral photography. Before patients leave our Boynton Beach dental office, we often determine a preliminary or final diagnosis. We will have taken immediate measures to ensure our patients have improved comfort. Sometimes, further testing or treatment is necessary. We strive to make sure patients leave with a complete understanding of their condition and if any further needs or actions are needed. Most importantly, we make certain our patients are comfortable when they leave. Contact our dental care office at: 561-732-8877.